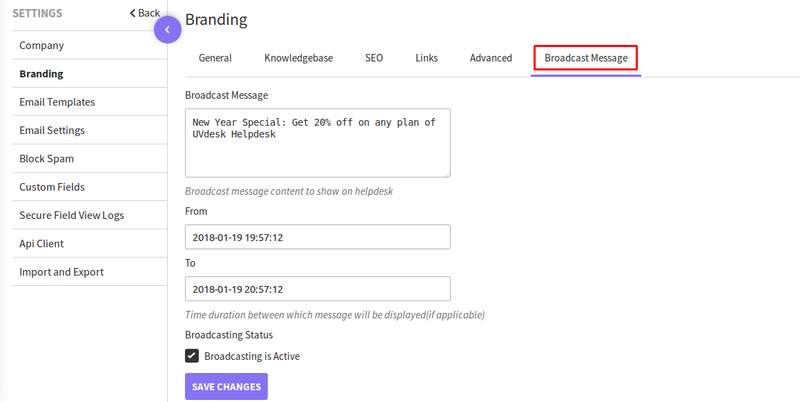 On the front-end of your customer support panel, you can broadcast any message or advertisement for a particular time duration. 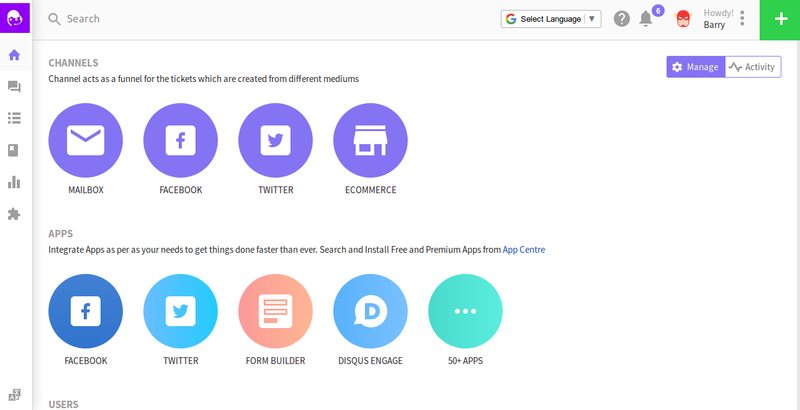 Log in to your UVdesk Helpdesk Dashboard. 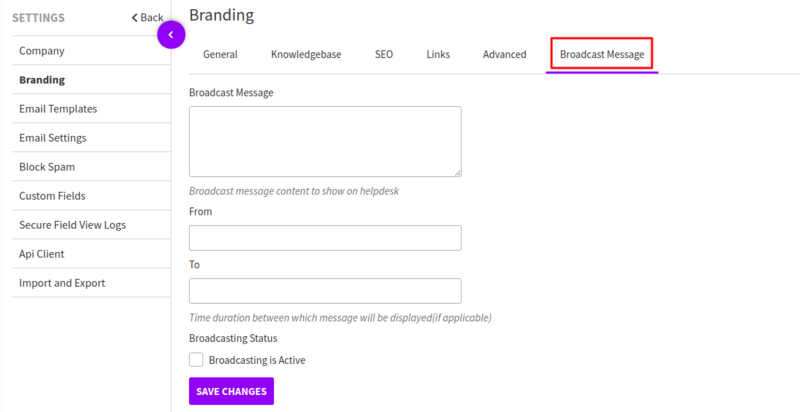 Under Branding, click on Broadcast Message section. Under Broadcast Message, you can set the message you want to display on front-end. Below that you can set time duration for which you want the message to be displayed and then tick the option Broadcasting is Active. Now you can check front-end of your support panel, the message will be broadcasted above the header portion of the website. For any query, please mail us at support@uvdesk.com.